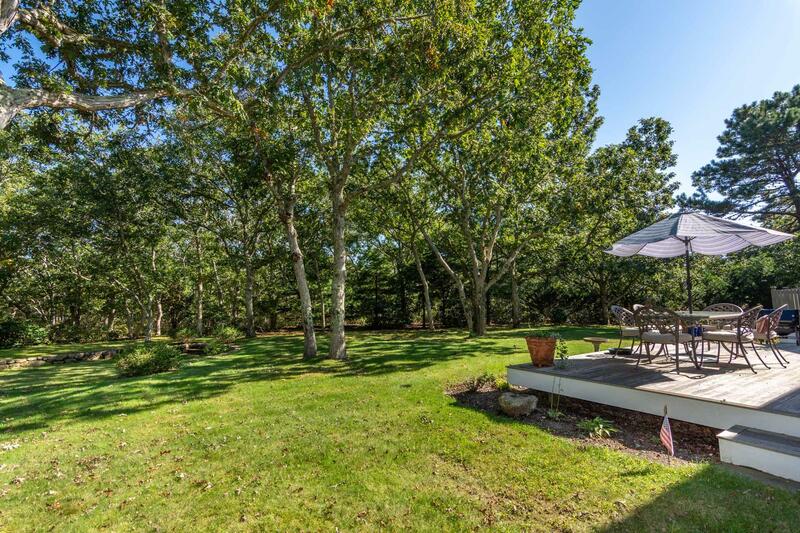 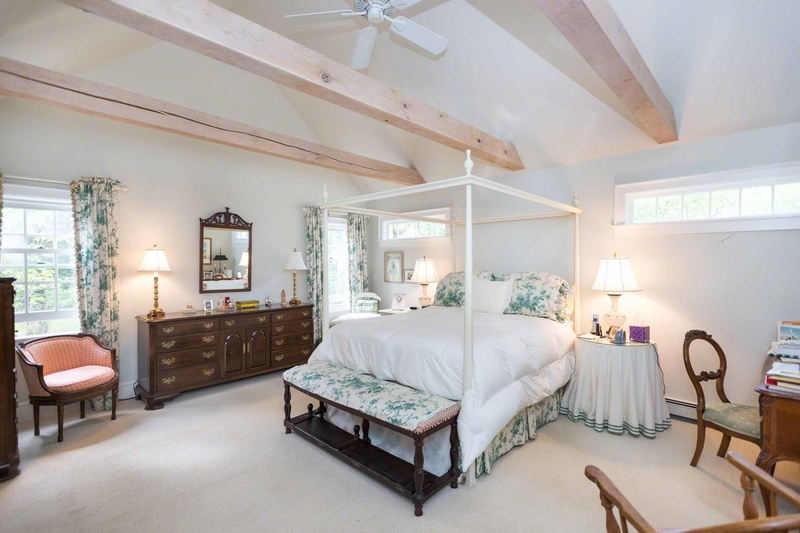 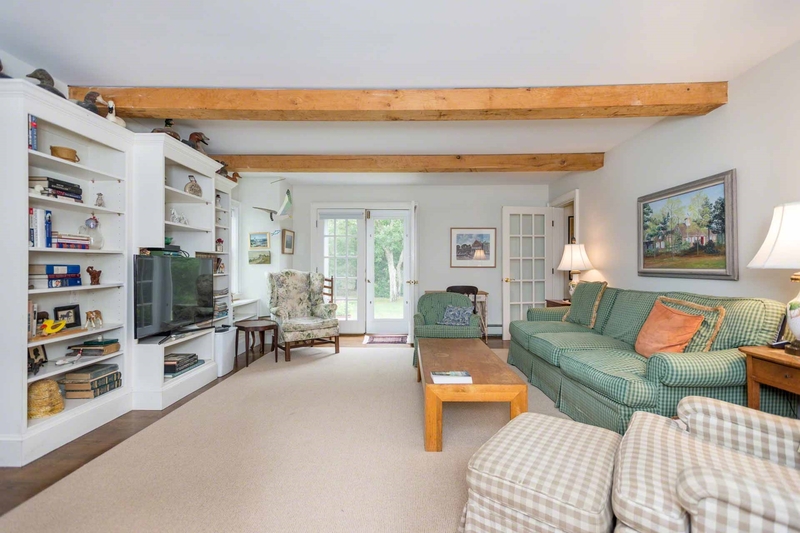 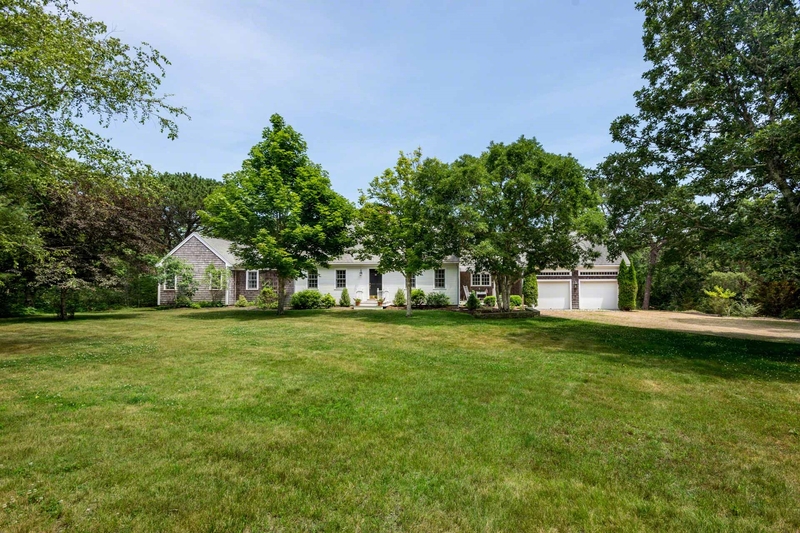 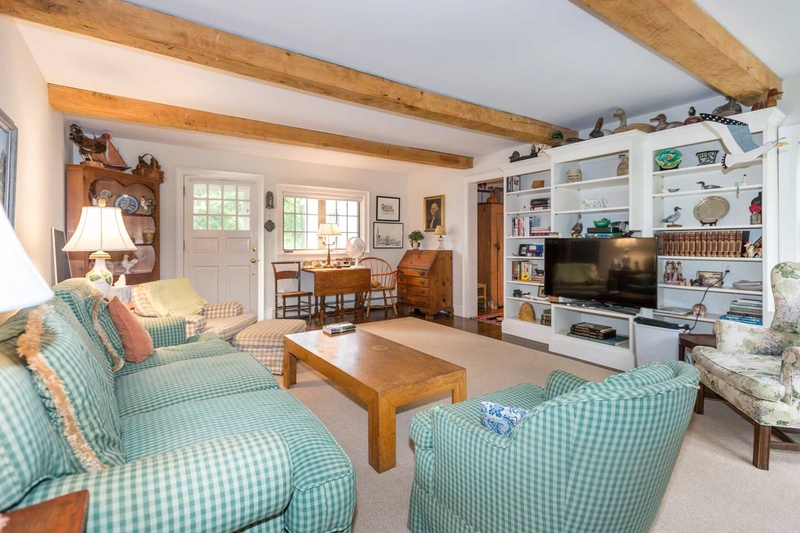 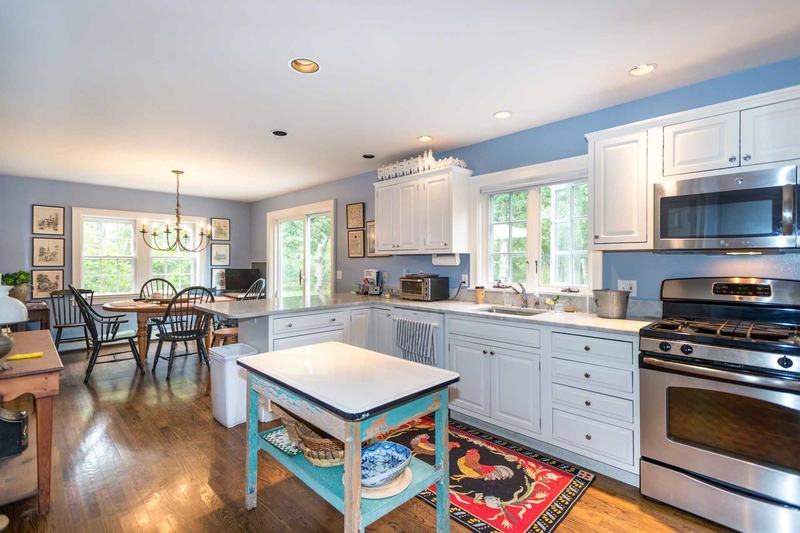 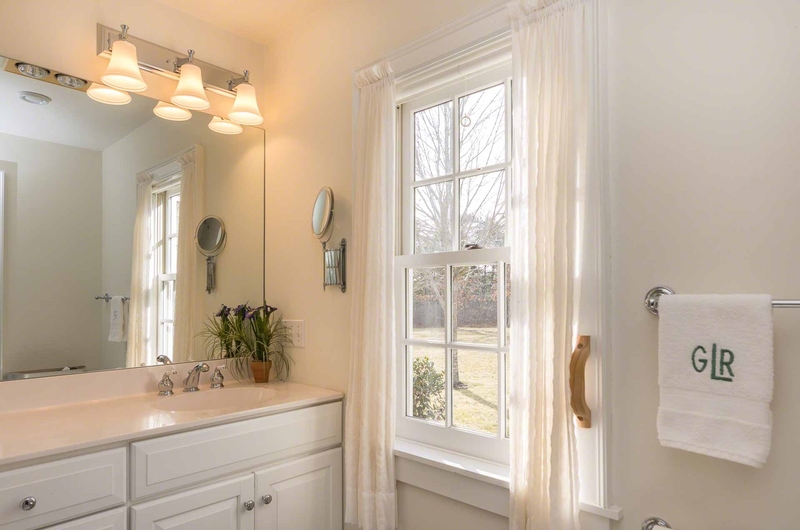 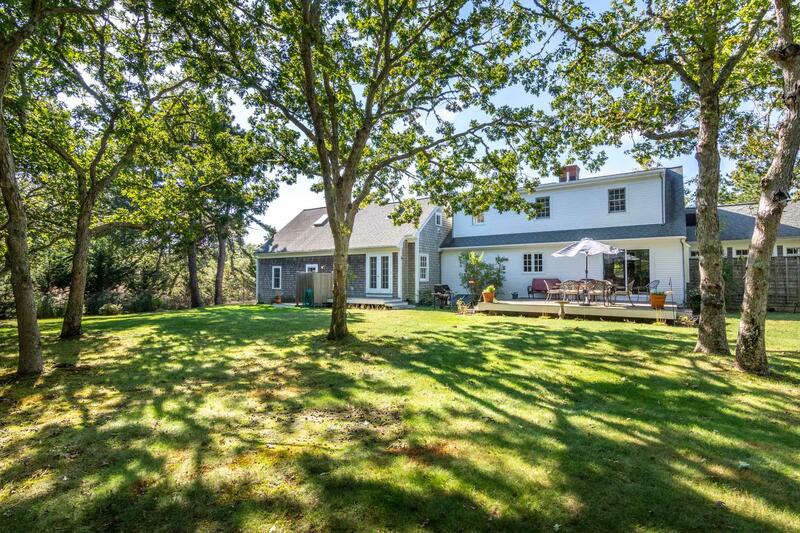 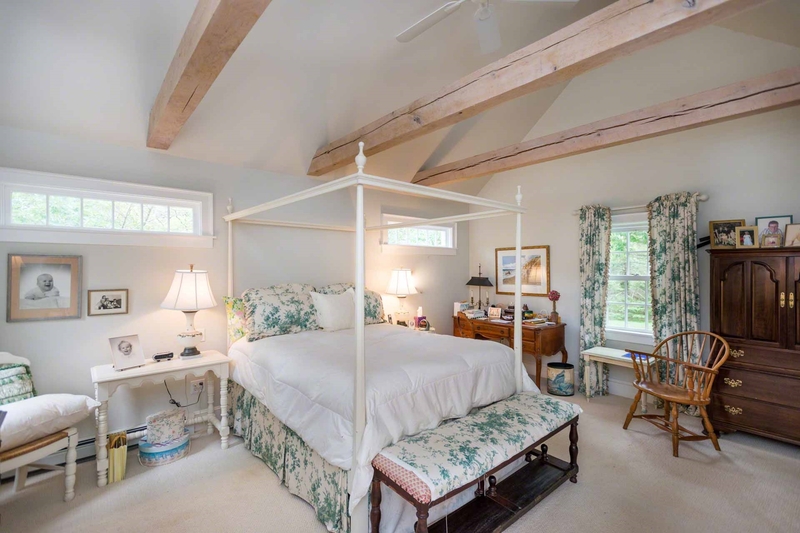 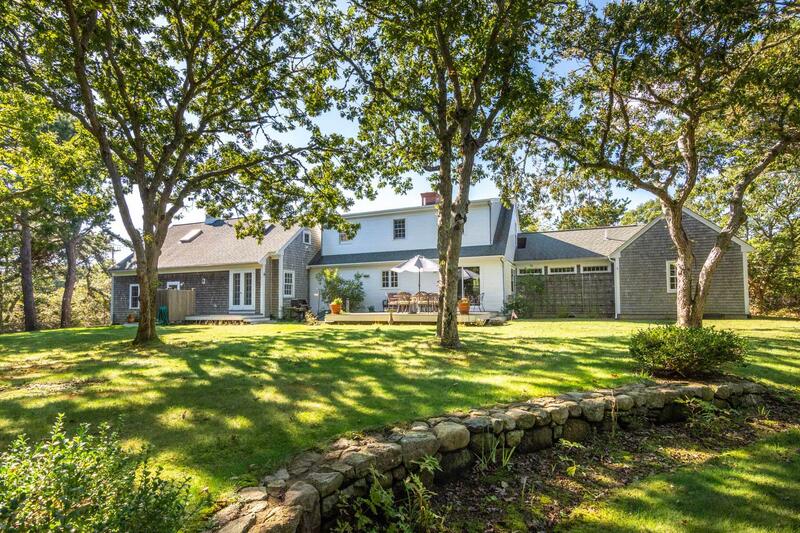 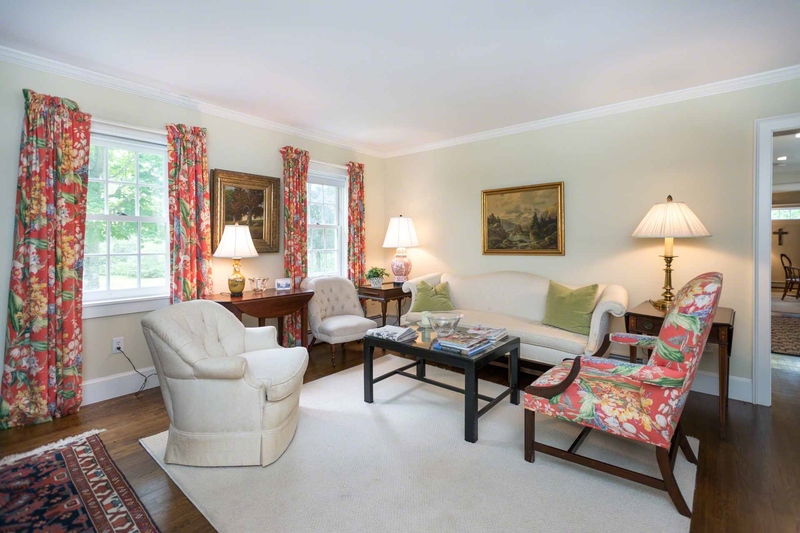 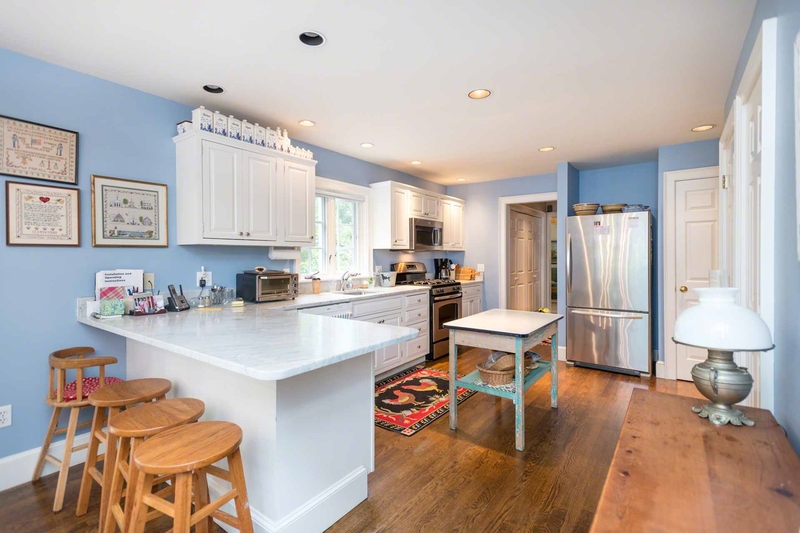 Point B Exclusive - Tucked away in a quiet Edgartown neighborhood of Bold Meadow, this Classic Cape sits on two acres of lightly wooded grounds, with easy access to the bike path and area beaches. 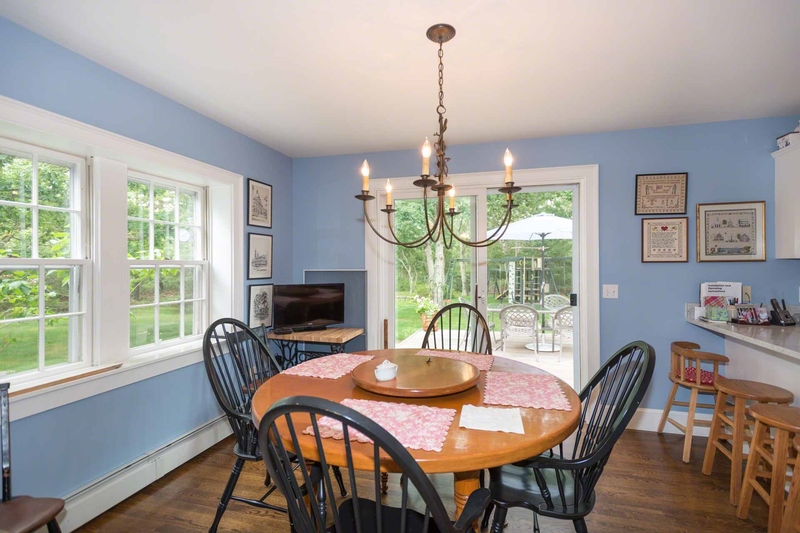 NEW FOR SUMMER 2019: All new furniture being added throughout the entire house. 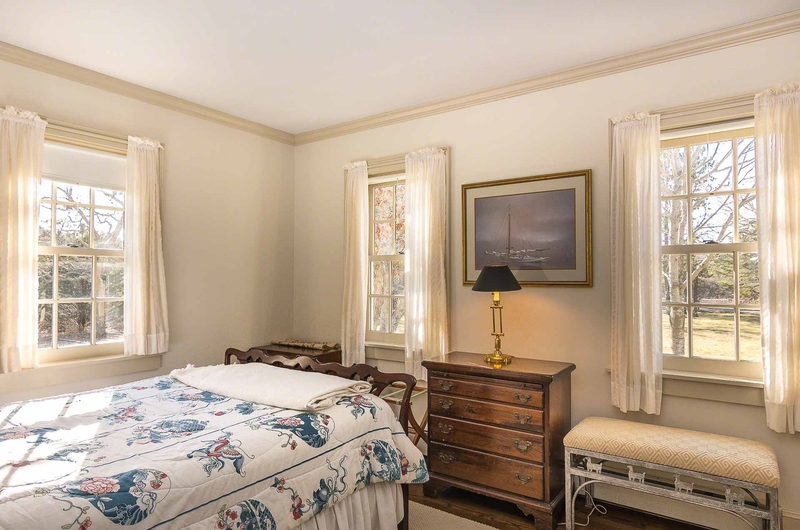 New pictures added as available. 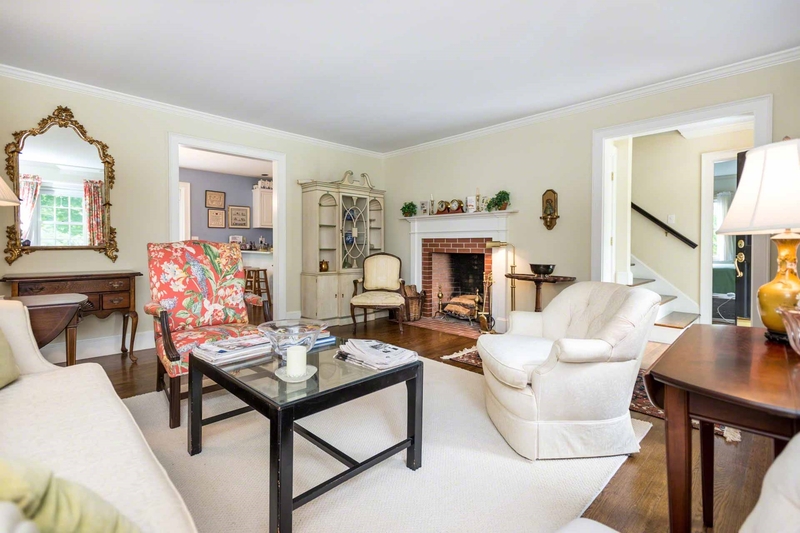 The first floor features a formal Living Room, TV/Family Room, and an open Kitchen and Dining Area with breakfast bar. 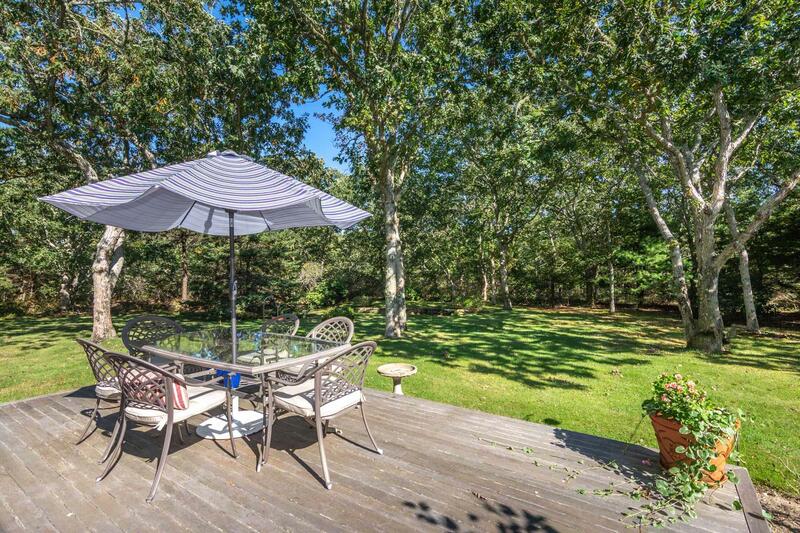 Sliding glass doors open out to a back deck for outdoor dining and entertaining. 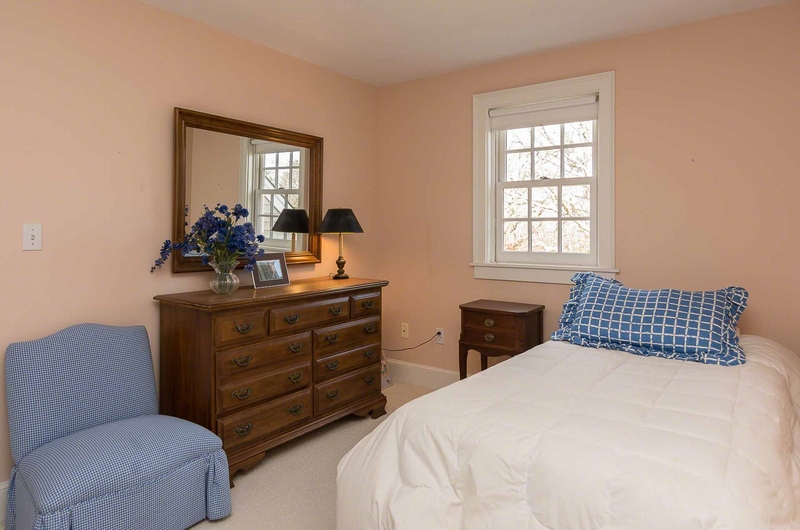 Two of the four Bedrooms are also on the first floor, including the Master Bedroom with en suite bath. 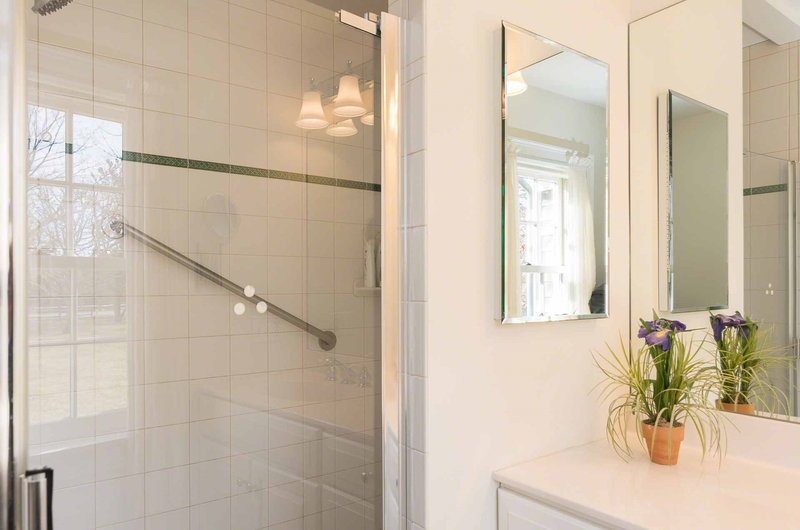 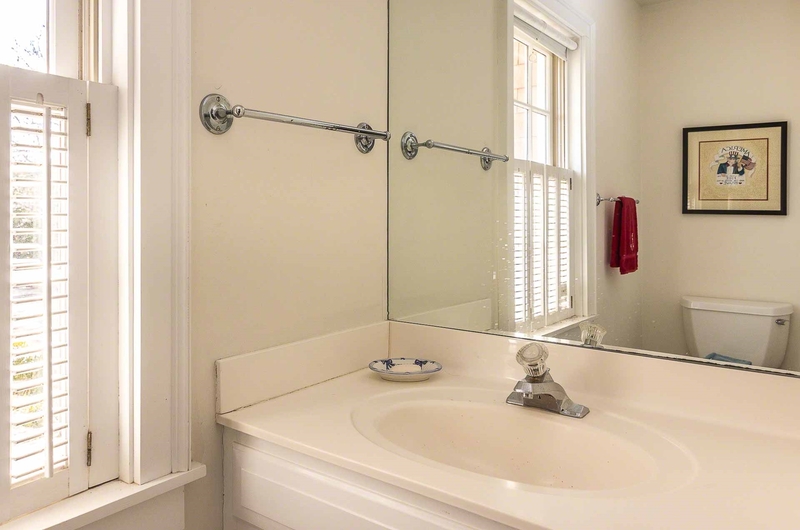 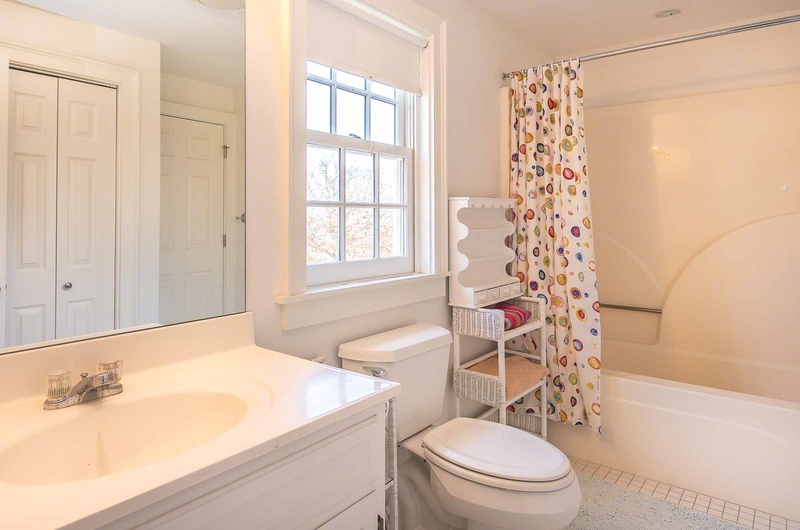 The other two Bedrooms are upstairs on the second floor and share a full bath. 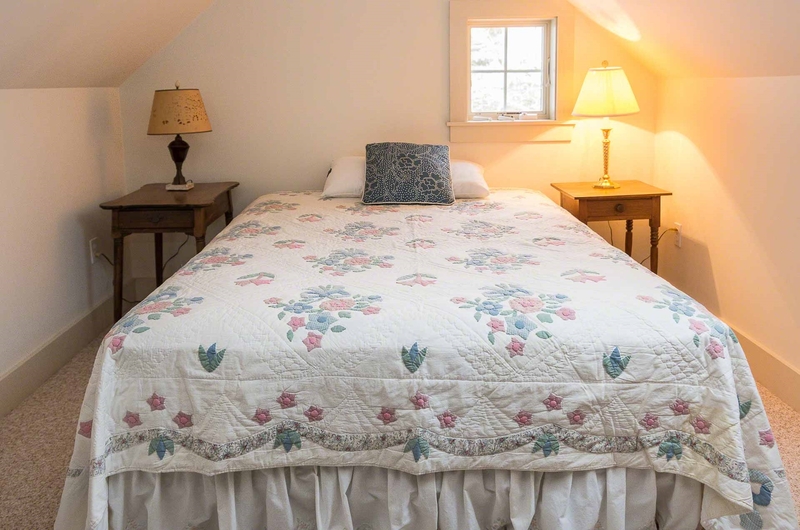 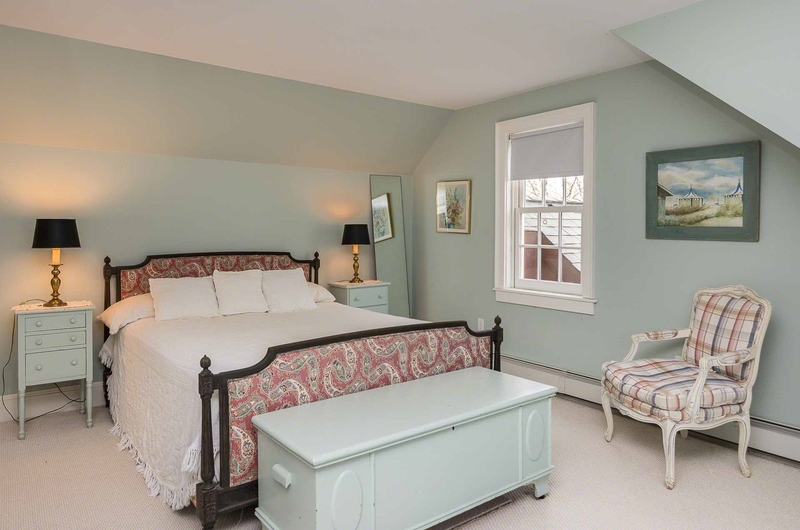 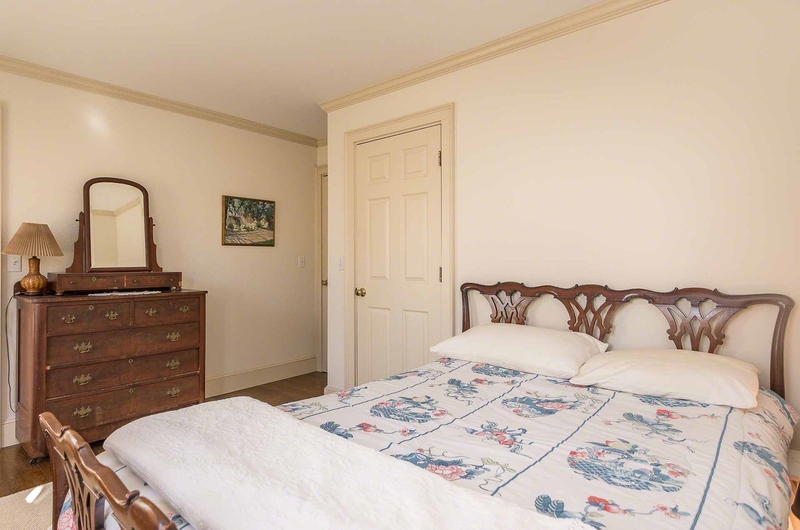 There is an additional sleeping area on the third floor with two queen beds. 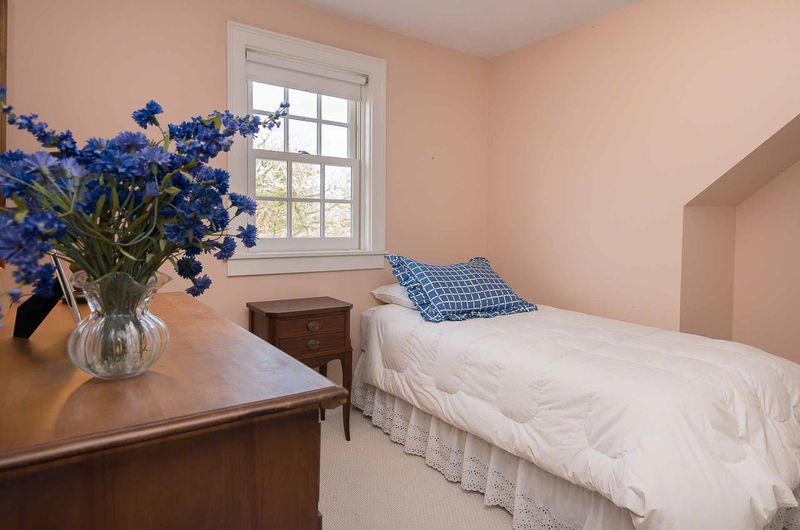 The convenient location offers easy access to the bike path, South Beach, Long Point, as well as downtown Edgartown.